Every year since 2000, the Pantone Color Institute has chosen a Color of the Year to reflect the spirit of the times for the year ahead. 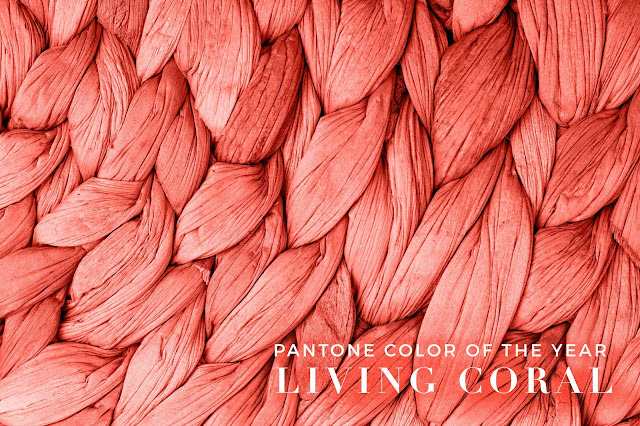 Pantone’s Color of the Year for 2019 is 16-1546 Living Coral, an animating and life-affirming coral hue. The engaging nature of 16-1546 Living Coral encourages us to have an optimistic outlook and engage in lighthearted activity. This is a playful, nurturing color found in our surroundings, and is one which provides us with both comfort and warmth as it inspires joyful pursuits. At Fine Stationery, we celebrate and embrace Pantone’s Color of the Year and all it embodies. Coral reefs around the world are living, ever-changing, colorful and beautiful. At Fine Stationery, we have incorporated the beauty of living coral into our products. 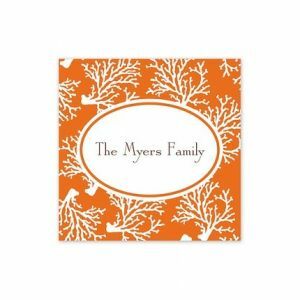 Our Orange Coral Flat Cards allow you to keep in touch with friends and loved ones using this chic correspondence card. 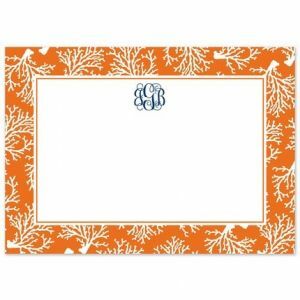 This orange card features a repeating white coral pattern that perfectly accents your text or monogram, which is printed at the top of the card. Our Orange Coral Square Sticker is accented by a white oval framed in a warm orange color, leaving ample space for your personalization. These stickers coordinate beautifully with the Orange Coral Flat Cards. For a truly elegant invitation, our Coral Shimmer invitations offer an exquisite experience in fine stationery. The delight is in the details, which on this invitation include beautifully rounded corners and a plump, pink satin ribbon, making it perfect for the sweetest of affairs. At Fine Stationery, our Stationery Consultants are here to assist you Monday through Friday from 9:00 am to 5:00 pm EST, for everything from etiquette questions to helping you find that special item you’re looking for on our website, our team is standing by to help. Whatever your fine stationery needs, our top quality products can meet those needs. Give us a call at 1-888-808-FINE(3463) or send your question to us via email at [email protected] and we’ll be happy to help you.